Straight Arrow is a Bethlehem, Pennsylvania based company that manufactures and distributes its products under The Original Mane ?n Tail and The Hoofmaker brand names. • Friction Free Slip For Reduced Grooming Damage Conditions and Fortifies Hair Strands Keeps Hair Manageable For Grooming. • Dry Use Spray Directly Onto Hair. • Spray Until Enough Product Is On The Hair To Create Slip. • Provides Complete Healing Treatment & Protection Eliminates Harmful Organisms For Faster Healing Contains Skin Conditioning. • Wash Area To Remove Dirt & Debris. • Apply Wound Cream Directly To The Affected Skin Area. • Do Not Wash Off. • Recommended To Be Applied At Least Twice Daily Or As Needed. • Continue Applying Until Area Is Completely Healed. • Cool, Fast, Temporary Relief Of Minor Aches and Pains. • Reduces Muscle and Joint Pain Associated With Arthritis, Injuries, Sprains, Strains and Bruises. • Relieves Minor Soreness and Stiffness From Exercise and Performing Activates. Pure conditioning contains no water or alcohol. 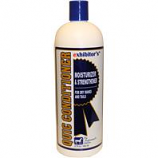 Deep conditions restores moisture and strengthens hair. Clinically tested and dermatologist reviewed. 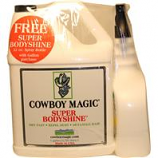 Repels dirt dust and sand resulting in long lasting shine without oil. Made in the usa. 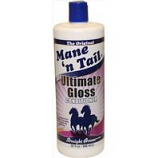 Moisturizes brittle damaged manes and tails helping prevent breakage and split ends. Deep conditioning with natural oils and nourishing protein. Detangles and volumizes leaving the mane and tail easy to comb out with fullness. Ph balanced for everyday use; can be used as a leave in or rinse out treatment. .
• Antimicrobial Medicated Skin and Wound Treatment. • A Deep Penetrating Therapeutic Formula That Goes Beyond Other Simple Antifungal and Antibacterial Products. 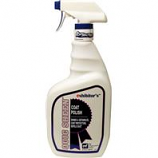 • Unsurpassed Effectiveness On Organisms Associated With Fungal and Bacterial Problems, Girth Itch, Rain Rot, Scruf, Etc. • Safe and Gentle Solution That Does Not Irritate Or Stain. • Formulated With Skin Conditioning Emollients That Promote Faster Healing. Formulated to give hair a super shine. Reflects light causing hair to shimmer and shine. Resists the accumulation of dust and dirt saving grooming time. Clinically tested and dermatologist reviewed. Made in the usa.